(Brendan Clarey, Liberty Headlines) The Alliance Defending Freedom sued the U.S. Department of the Interior on Tuesday after a Christian scientist was denied access to conduct research at the Grand Canyon because of his beliefs. 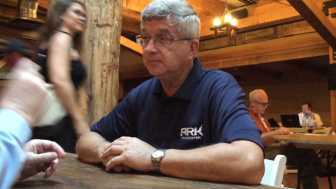 Dr. Andrew Snelling, a Christian geologist for Answers in Genesis since 2007 and Editor-in-Chief of Answers Research Journal, applied for a research permit in Grand Canyon National Park but was denied after his peer review was met with secular criticism. 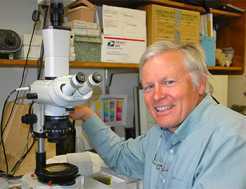 According to the complaint filed in U.S. District Court in Arizona, Snelling applied for a permit to collect sediment structures, but was allegedly met with increased scrutiny in the application process, including two peer reviews of his research proposal. Snelling provided three peer reviews, but Research Permitting Coordinator Ronda Newton looked elsewhere. She sent Snelling’s application to Dr. Karl Karlstrom of the University of New Mexico and Dr. Peter Huntoon of the University of Wyoming. Both have worked together on Grand Canyon research projects. ADF’s complaint said both “condemned” Snelling because of his beliefs. “…[It] is not a question of fairness to all points of view, but rather adherence to your narrowly defined institution mandate predicated in part on the fact that ours is a secular society as per our constitution,” said Huntoon about Snelling’s research proposal. Last year, Snelling applied for another research permit, this time with more specific details of sample collection sites in response to the concerns raised against his first request. But the discrimination against Snelling didn’t stop, ADF said. Michael L. Kitchen of Margrave Celmins P. C., a general practice law firm in Scottsdale, Arizona, is the lead counsel for Dr. Snelling and ADF’s McCaleb is co-counsel in the lawsuit Snelling v. The Department of the Interior.